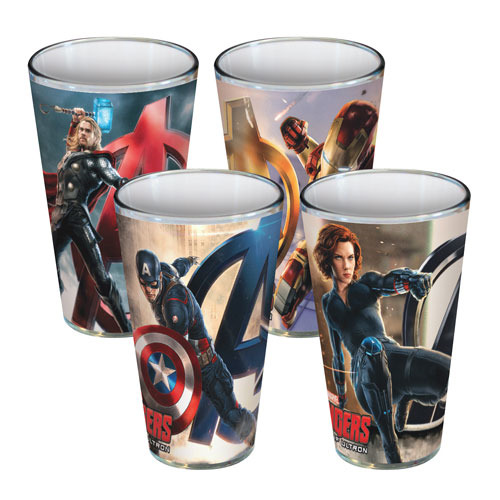 Not one, not two, but four ultra-cool 16-ounce glasses featuring heroes from the Avengers: Age of Ultron movie! Each glass in this Avengers: Age of Ultron Poses 16 oz. Pint Glass 4-pack features full-color wrap-around art highlighting a different superhero: Thor, Iron Man, Captain America, and Black Widow. Order now! Hand wash only. Not dishwasher safe. Do not microwave. Ages 12 & up.